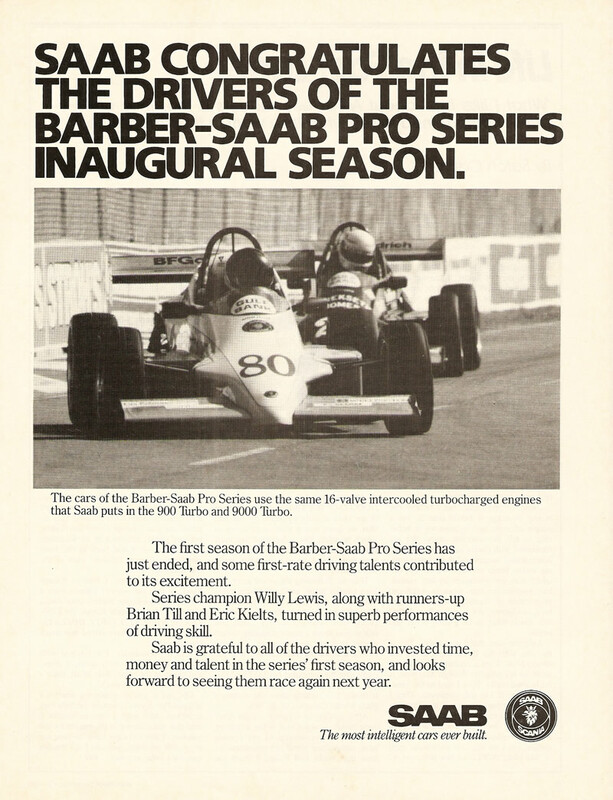 The Barber Pro Series was an entry-level open-wheel auto racing series from 1986 to 2003. 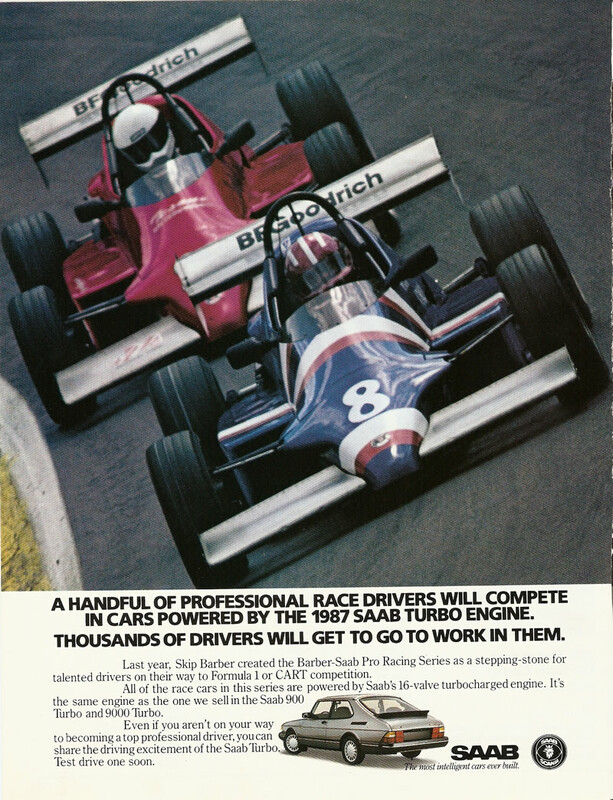 The races were primarily on road and street courses in North America, although the schedule did sometimes include a few ovals. 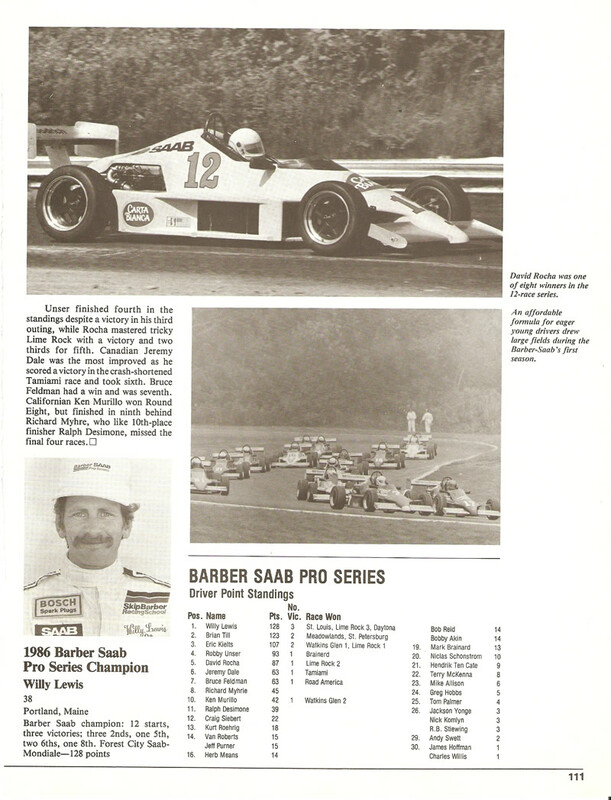 The Barber Pro Series was a spec series, in which all cars were identically prepared by Skip Barber Racing. 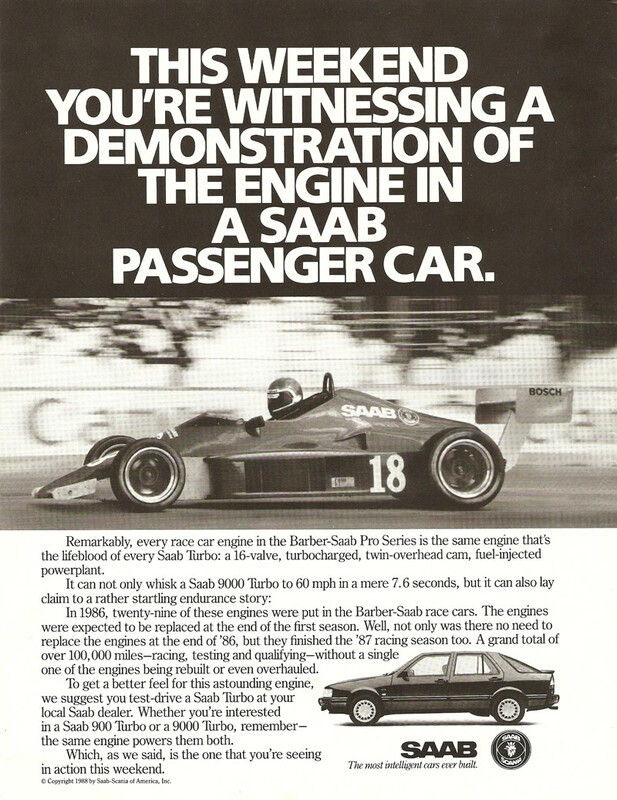 For many years the series was known as the Barber Saab Pro Series; the spec car was a tube-frame Mondiale chassis (basically a Formula Ford 2000 design) powered by a turbocharged 16 valve Saab H engine. 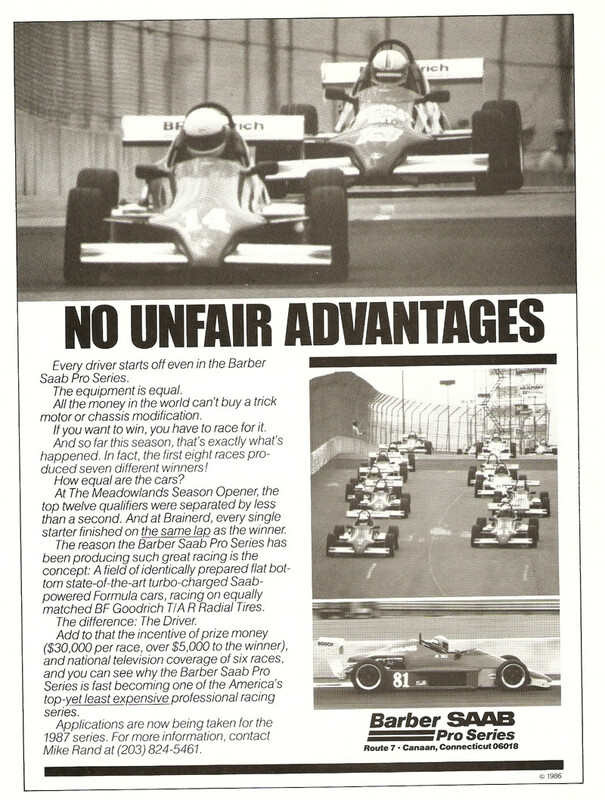 For the seasons 1986 and 1987 the cars used street-legal racing tires, but for the 1988 season they used Goodyear Racing Eagle slicks instead. 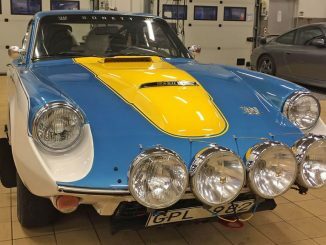 We had a small meet yesterday in New Jersey and adjunct to the directions I posted that it would be the turn after the yellow Lotus Europa that has been, for all intents, “abandoned” at this small gas station for ages. 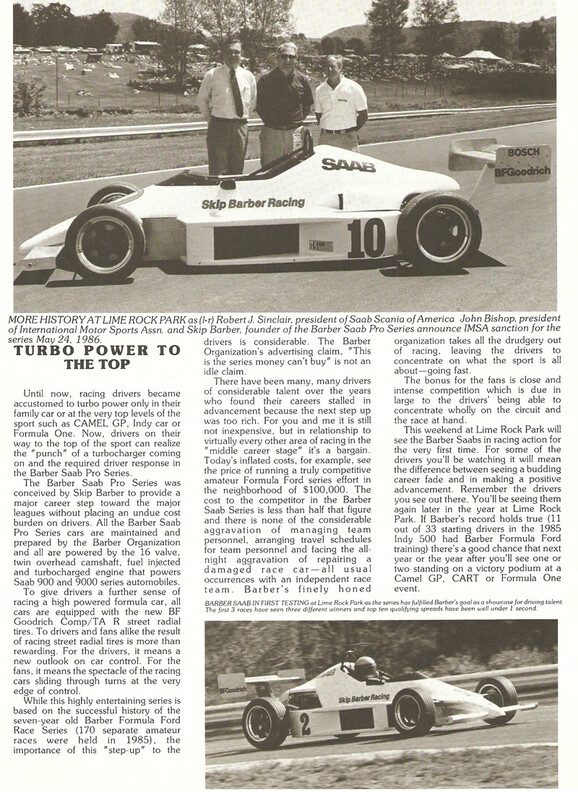 Window half duct taped up, tires flat but ….. it still had a Skip Barber Driving School badge on it . 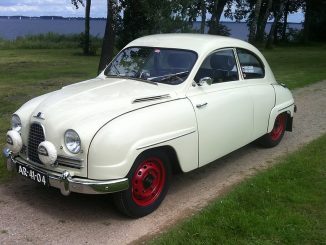 The stories that car could tell in it’s glory days. 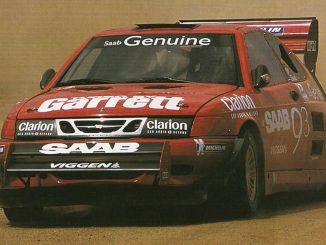 Does anyone know what happened to the race series cars? Were they scrapped or are there any surviving?